The Sea-Doo SPARK is the most affordable watercraft on the market and makes your family’s dream of great days on the water possible right now. It is playful, easy-to-ride and easy to tow with a small car. Whether you like to cruise in pairs or hit the water in threes, the Sea-Doo SPARK is available in 2up or 3up configurations. 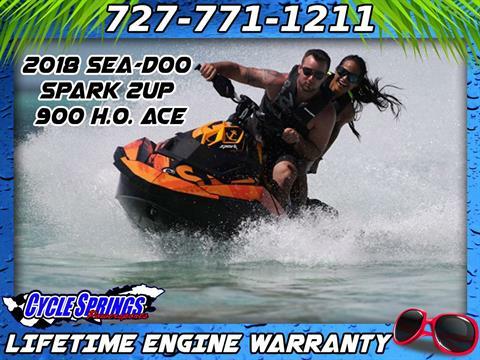 The Rotax 900 ACE engine is the most fuel-efficient engine on the market, using just 1.94 US gal. 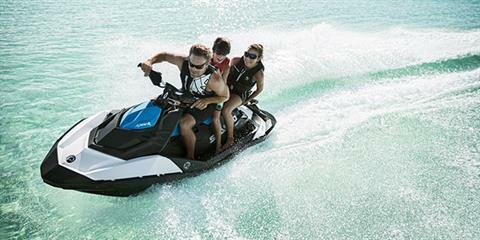 of fuel per hour the higher-horsepower, faster-accelerating Rotax 900 HO ACE uses just 2.4 US gallons per hour. Both are compact, lightweight and deliver immediate acceleration. Get more control with our exclusive Intelligent Brake and Reverse (iBR) system. Add the Front Storage Bin Kit to bring along your personal belongings and make reboarding easier with the Sea-Doo Step. Plus, enjoy added security with the anti-theft key. 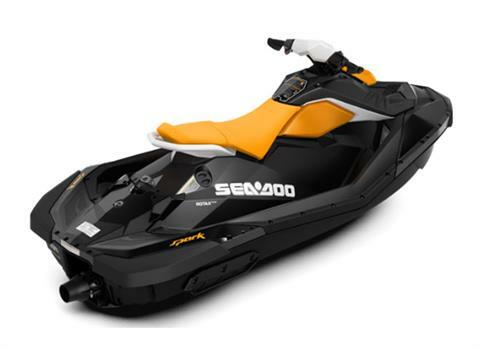 This innovative and impact resistant material reduces the weight of the Sea-Doo SPARK to deliver peak performance. Plus, the color-in molding makes it more scratch-resistant than fiberglass. 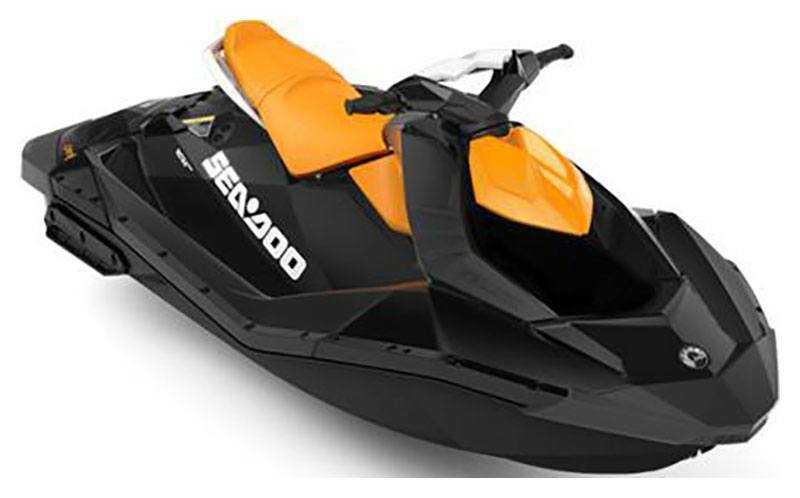 Add a custom Attitude Graphic Kit to make your Sea-Doo SPARK even more distinctive. It’s a unique customization option nobody else offers. 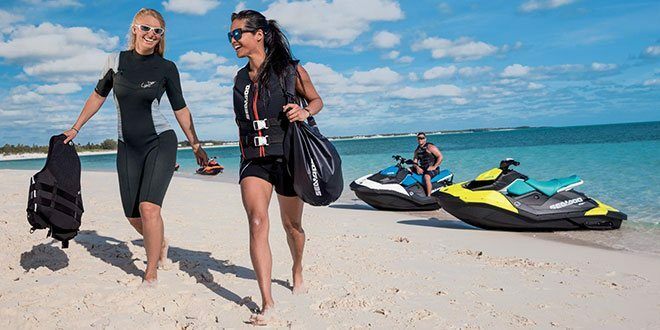 Choose between a faster or a smoother acceleration thanks to the Sport mode available with the Rotax 900 HO ACE engine and the Touring mode available on all models. This technology prevents corrosive saltwater and damaging debris from entering the engine, for increased reliability and peace of mind.